As I've mentioned before I got a late start on the Christmas decorating this year, I also didn't have the energy to go nutty with a theme like I did last year. But since I am a crazy Christmas person I just couldn't leave my mantle undecorated. So with a little creativity and no time at all, my mantle is all dressed up and ready for the big day (which is in 18 days BTW). 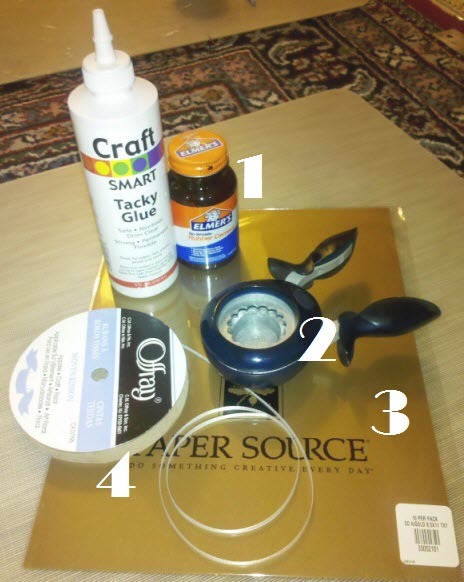 Using the rubber cement, I glued to scalloped circles together sandwiching the ribbon in between. I eyeballed the spacing, some are 6 inches apart and some are 12 inches. My garland was between 6 and 8 yards long, but you can make yours any length depending on where you want to hang it. The rubber cement takes no time at all to dry, so as soon as I was done gluing the last two in place it was ready to hang. For a fuller look I could probably stand to glue a few more gold dots in there, but for now this was an easy way to bring some of that festive spirit to my family room! So cute! I crafted up some garland this weekend too, but with felt circles! Adorable! I love this look. I love this! It looks adorable, very kate spade! Super cute! Love it, you crafty Christmas queen! So fun and festive... I love it!! Adorable! I love it! Just the right amount of glimmer! Looks so great!! Question: I need your mirror! Where do I fetch one as lovely? Love the blog! that looks great linds! I love it! I love that look! So pretty and festive! I love your set up- so pretty!! Great job! So pretty! Last year I made a similar garland by punching a bunch of circles out of colored paper but I just used my sewing machine to string them together. I love holiday decorating! This is perfect. 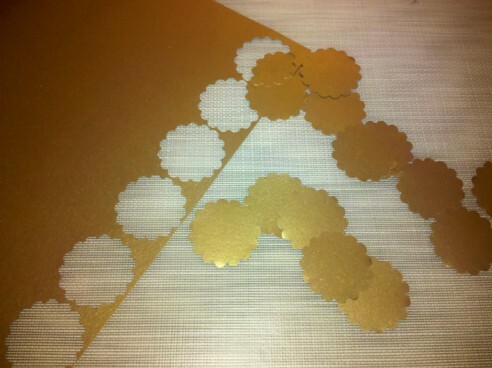 I have a star punch that I have been wanted to use but I love those scalloped circles. love, love, love this! so pretty. This looks so awesome!! Maybe I'll attempt it next year :) Thx for sharing. Love it - so simple and looks great!